It’s not ‘one number’ better than the NTG3, but with onboard filters, internal battery and a built-in pad, the NTG4+ has plenty going for it. Location sound for film and TV is my specialty, and I’m always interested in loading up my blimp with a new shotgun mic, especially one with cool onboard features like Rode’s new NTG4+. It has three digitally-switched buttons with LED indicators. The top switch is a high frequency boost that starts around 3.5kHz, and the middle switch is a 75Hz high-pass filter to get rid of any boom rumble or handling noise. The bottom switch has a couple of functions. Firstly, it switches the mic on by providing phantom power from its internal rechargeable lithium-ion battery; the LED lights green when the internal battery is in use, and blue when using external phantom power. Press again and it activates a 10dB pad for high volume sources. It’s always nice to have a pad inside the microphone, so the preamp doesn’t overload, particularly if you can’t pull the mic away or it’s attached to the camera. The internal lithium-ion rechargeable battery is worth mentioning again. 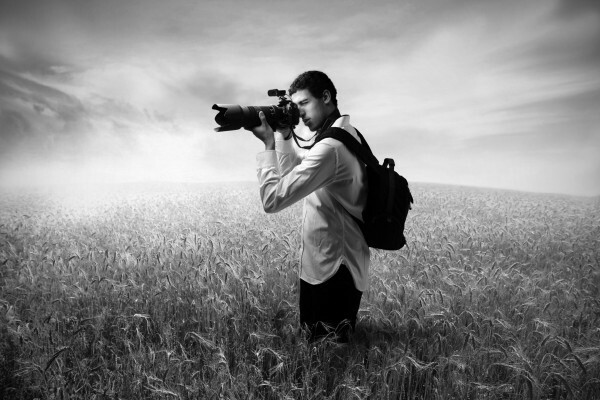 It’s very handy for devices that don’t have phantom power, such as entry-level mixers and most DSLR cameras. Which is where I think Rode has targeted this mic, but a bit more about that later. The NTG4+ recharges in about two hours via USB, and Rode claims it will last 150 hours, though I didn’t test that myself. Once you plug into phantom power, the battery disconnects. But if you lose phantom power or simply power down your rig, the battery will instantly power up the mic without a drop out. Just remember to power down the internal battery when wrapping your gear. Outside my lock up, I set the mic in a Neumann suspension mount and put on the Rode wind sock. I didn’t have too much trouble with handling noise, the high-pass filter worked well for that. When I switched back to flat, there was a light breeze and it still seemed fine without the filter. When the breeze came up a bit more, I switched the high-pass filter on again and the rumble was attenuated. Any more wind though, and you’d need at least a softie or a full wind shield and a wind furry cover. That’s where the high boost switch comes in handy, it compensates for the slight loss of high frequencies when covered with blimps and furries. Once in a suspension mount, the NTG4+ can be mounted on a stand, a boom, a handheld pistol grip, or on a camera. I took it to a sound stage with boom operator Mark van Kool, and started an AB test. We were on a shoot, so there wasn’t time to do elaborate tests, but we set the Rode NTG4+ and one of my Shoeps CMIT5U microphones on boom poles and placed them next to each other. Mark talked into both mics and we paid attention to voice quality, timbre, frequency response, and back and side rejection. The NTG4+ seemed to have less bottom end, was a bit peakier in the mids and slightly harsher at the top end. Obviously it’s not a fair comparison, as it’s not in the same league as the Schoeps CMIT5U, and the price reflects this — it’s about a sixth of the Schoeps. But you can see my mistake. Looking at the model numbers, I assumed that being number 4, it must be better than the NTG2 and 3. But after inspecting the information provided by Rode, I realised the order was out of whack. The NTG3 RF-Bias condenser is a superior microphone to the NTG4 in its RF rejection, sound quality and ability to perform in all weather conditions. The NTG4+ is actually positioned as an improvement over the NTG2 — a big one when you consider its EQ functions, the 10dB pad and internal rechargeable battery — but below the performance, sonic abilities and robustness of the NTG3. 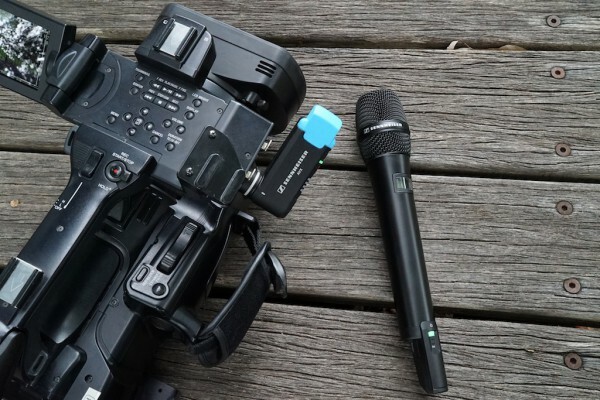 The NTG4+ is a decent entry-level mic for run-and-gun shoots, and it’s particularly suited to camera-mount work, where the onboard controls and built-in phantom power let the mic do all its own heavy lifting. 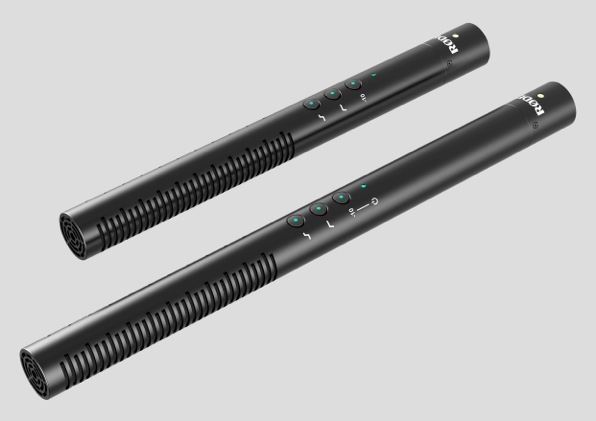 Obviously the NTG4+ doesn’t compare sonically with the high-end mics from Sennheiser, Neumann, Shoeps, and Rode’s other offerings, but it’s certainly practical and affordable. The NTG4+ comes with an RM5 Mic clip, a foam windshield, a Micro USB cable and a ZP1 pouch. There’s also an NTG4 variant without the rechargeable battery, if you like the features but already have phantom power supplied. Summary – The Rode NTG4+ has everything your camera doesn’t have in the sound department — highpass, high-shelf boost, and a 10dB pad — to let you capture sound in every situation. Its internal rechargeable battery also cuts the need for a phantom power source. But don’t be fooled; it’s not better than an NTG3, just different. I’ve tested both. NTG3 vs NTG4+ is more sensitive, has less noise and cleaner sound. NTG4+ is overpriced for the quality. I wana ask about something , can i connect the rode ntg4+ with the sony transmitter uwpd11 ? Absolutely you can. You just need to get the right XLR to locking 3-pole mini-jack. Or get the same series plug-on adaptor from the Uwpd 16.